The U.S. Department of Energy (maker of the home energy scoring software) put out a guide on how to interpret their home energy score. Click here to view the newest energy upgrade incentives from the Energy Trust of Oregon. Do I Need a home energy score to sell? Is your home within the City limits of Portland and fall under the home energy score ordinance requirements? In the top right corner type in the address and hit enter. A box will show up with information about the home you selected (see below). 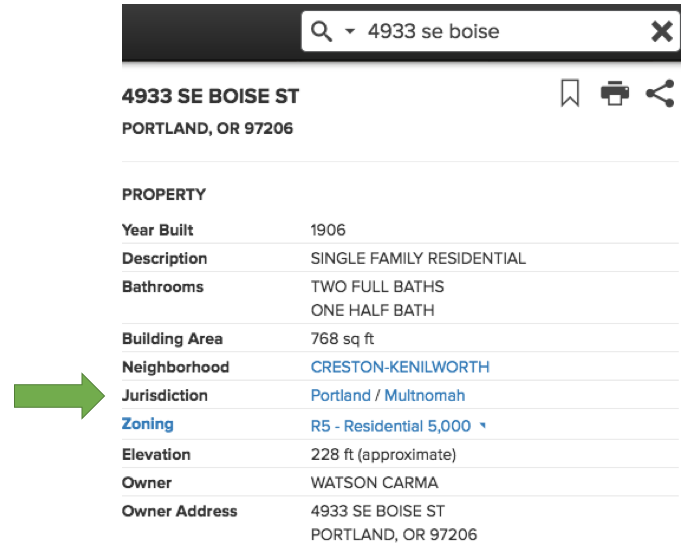 If it says Portland next to Jurisdiction then that home falls under the home energy score requirements. The City of Portland is allowing anyone to make anonymous comments about the Portland Home Energy Score law before they decide on the final rules in September. Comments will be accepted until August 24th. In a recent webinar, Earth Advantage (Portland's appointed QA/QC provider) stated the cost of non-compliance with the Portland Home Energy Score Program would be $1,000. This is double what is currently written in the ordinance. It's important to keep in mind this is not a one time fine. It's $1,000 for the first 90 days of non-compliance and $1,000 for every 180 days there after. 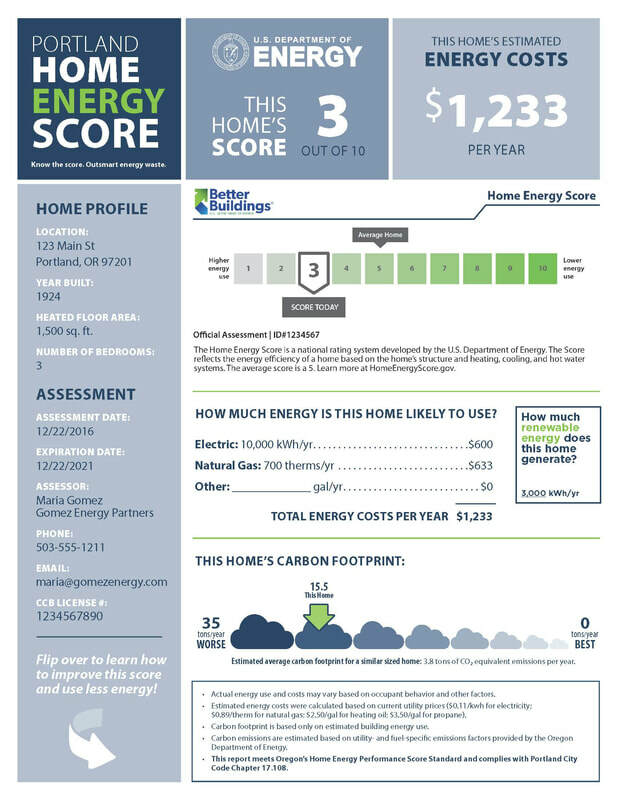 The U.S. Department of Energy created the software used for the Portland Home Energy Score Program. However, the city wanted a little more than what the DOE offered so they teamed up with Earth Advantage to make the reports more descriptive and enable home buyers to quickly easily compare the costs and environmental impact of each home. The home's estimated energy costs per year (see below). Keep in mind this does not include personal behavior such as TV's, lights, appliances or small basement farms. The new report will also include the home's estimated carbon footprint in tons/year so you can tell all of your friends how awesome you are. If the home has built in renewable energy generation, the estimated energy savings will be included on the front page.